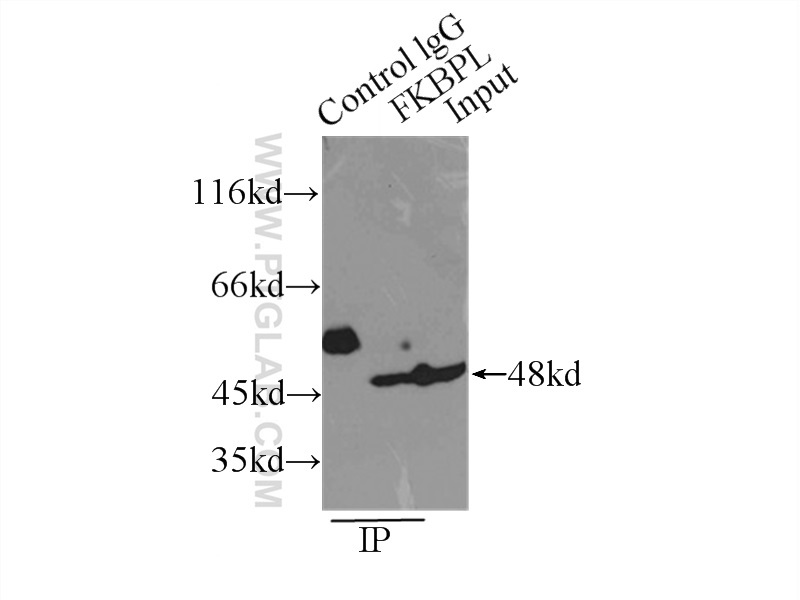 IP Result of anti-FKBPL (IP:10060-1-AP, 3ug; Detection:10060-1-AP 1:800) with MCF-7 cells lysate 2500ug. 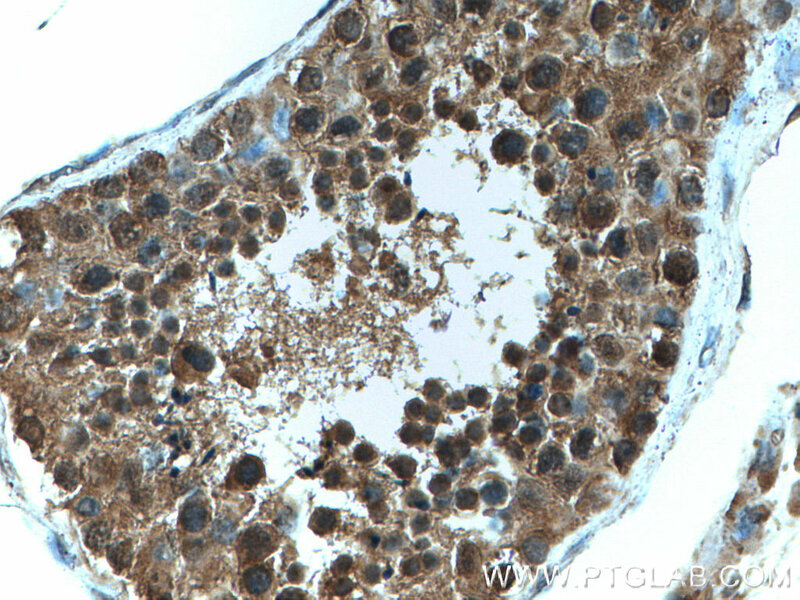 Immunohistochemistry of paraffin-embedded human testis tissue slide using 10060-1-AP (FKBPL antibody) at dilution of 1:200 (under 40x lens) heat mediated antigen retrieved with Tris-EDTA buffer(pH9). Immunohistochemistry of paraffin-embedded human testis tissue slide using 10060-1-AP (FKBPL antibody) at dilution of 1:200 (under 10x lens) heat mediated antigen retrieved with Tris-EDTA buffer(pH9). 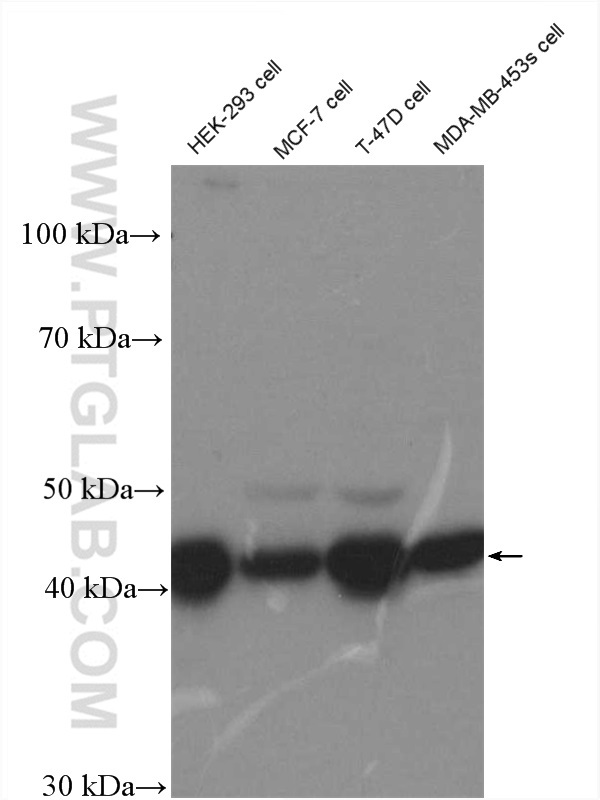 FKBPL, also named as DIR1, NG7 and WISp39, has similarity to the immunophilin protein family, which plays a role in immunoregulation and basic cellular processes involving protein folding and trafficking. FKBPL levels may be a prognostic indicator and determinant of response to endocrine therapy(PMID:20103631, 15664193) .It can be detected the band between 38 Kda and 48 Kda by western blot. The anti-migratory effects of FKBPL and its peptide derivative, AD-01: regulation of CD44 and the cytoskeletal pathway. RALA-mediated delivery of FKBPL nucleic acid therapeutics. Identification of RBCK1 as a novel regulator of FKBPL: implications for tumor growth and response to tamoxifen. FKBPL is a critical antiangiogenic regulator of developmental and pathological angiogenesis. FKBPL: a marker of good prognosis in breast cancer. A novel FK506-like binding protein interacts with the glucocorticoid receptor and regulates steroid receptor signaling. 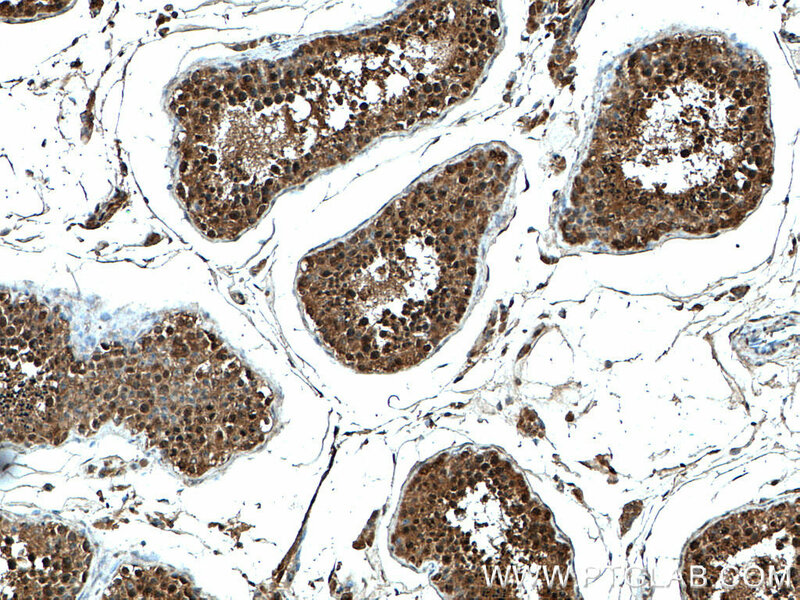 Immunohistochemistry of paraffin-embedded human breast cancer tissue slide using 10060-1-AP (FKBPL antibody) at dilution of 1:200 (under 10x lens) heat mediated antigen retrieved with Tris-EDTA buffer(pH9). 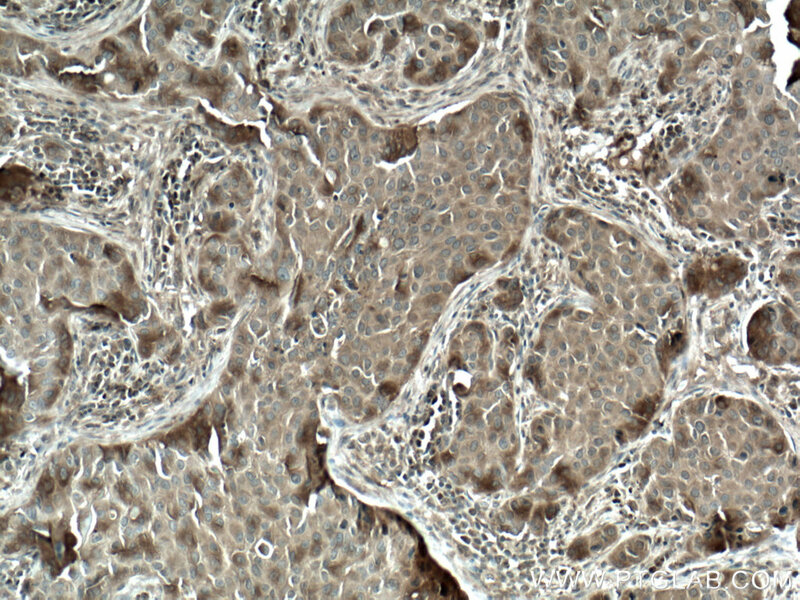 Immunohistochemistry of paraffin-embedded human breast cancer tissue slide using 10060-1-AP (FKBPL antibody) at dilution of 1:200 (under 40x lens) heat mediated antigen retrieved with Tris-EDTA buffer(pH9).